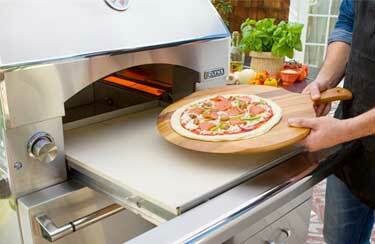 BBQ Repair Doctor specializes in Lynx pizza oven repair, cleaning, and maintenance. 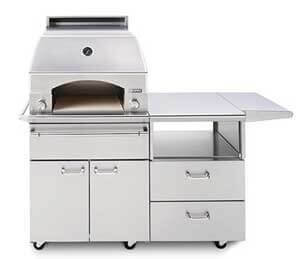 We can fix any Lynx specialty cooking appliance but in particular Napoli pizza ovens, warming drawers, Sonoma smokers, Asado grills or power burners. Whether your pizza oven is built-in or freestanding, we can most certainly trust us to do a great job for you. Our appliance repair specialists are specially trained to repair Lynx brand appliances. They are factory trained and certified. We are known for doing our job fast and right the first time around. Also, our prices are very reasonable. If your Lynx pizza oven is broken or is very dirty, do not rush to buy a new one. First check with us. We can do Lynx pizza oven repair for you and clean it as well. The result will be a clean and fully functional pizza oven. We will save you money and hustle of buying a new appliance and installing it. 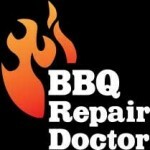 BBQ Repair Doctor is family owned and operated for many years. We specialize in all kind of Lynx appliance repair. That includes Lynx barbecue grill repair, Lynx outdoor kitchen repair, and Lynx patio heater repair. We work on both commercial and residential appliances. We make sure our employees are always up to date with the latest technology and innovations in the field of outdoor appliances. We also value customer service by making sure our employees are always polite and helpful. 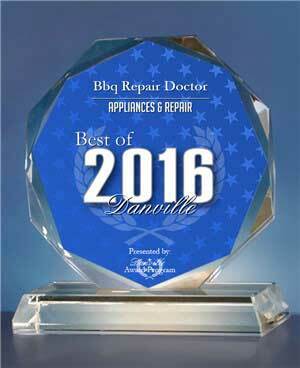 We make appliance repair easy and fast for the customer. First you give us a call at our local phone number. We will get back to you right away and gather all the necessary information. We will give you a very accurate estimate and make a convenient appointment with our repair team. Our repair man will be at your house at no time. He will take apart your pizza oven and clean it out if needed. He will figure out what the problem is and come up with the best solution. If parts need to be replaced, we usually bring all the parts with us. So, usually, we don’t have to order anything. But if we do, we will make sure to do it promptly. Also, the parts we carry are excellent quality and well priced. We only use the best for our customers. We can diagnose and repair any of those problems and make your Lynx pizza oven work great! We can also suggest a plan of how to maintain your pizza oven and keep it in good shape for as long as possible. Sometimes your Lynx pizza oven may be working fine. But the food does not come out quite right, or there is a strange aftertaste to it. Or maybe your pizza oven is dirty inside. We can help you with all those problems. Lynx pizza ovens can get dirty after an extensive use and sometimes you need a professional to take it apart and clean it. Our company is very experienced with pizza oven cleaning. We use all natural and safe cleaning agents to get your pizza oven startlingly clean. We will look into every nook and cranny to make sure we got every speck of dirt out of it. Your food will taste better, and you will see a big difference in backing when your pizza oven is clean. We are simply the most experienced company out there to fix Lynx pizza oven. 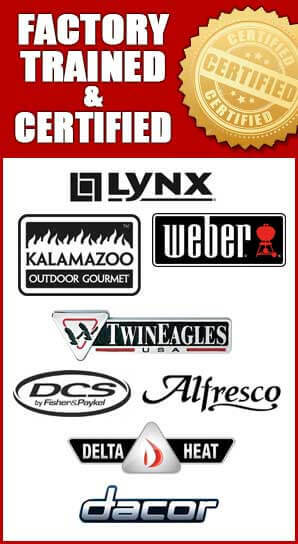 Our team is factory trained and certified to repair all types of Lynx appliances. They know all Lynx models and parts. Our team knows how to do the job right the first time. Also, we strive to give you the best price on parts and labor to save you some money. Finally, we care about your time and convenience. Customer service is very important to us. So, we make sure we are always on time, polite, helpful and do the job fast. We promise you are to go well above your expectations and make your Lynx pizza oven look and function like new!